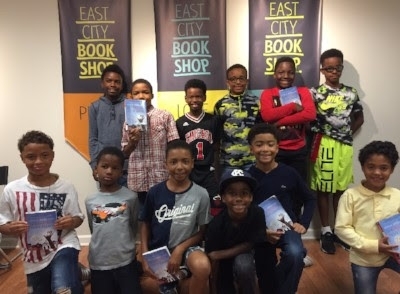 I keep meeting parents who share their own passion for literature with their kids - by creating their own book club for kids. Nikki Wood is one of those moms, starting the World of Girls Book Club in Washington, DC. "Locally rooted, globally reached" is the way she describes the group. Readers in the World of Girls Book Club have graduated from picture books, but Nikki says pictures are an essential part of the club. "During each book club meeting," she says, "we engage our girls in art-intergrated activities directly related to the book." Art and reading do go together. A University of Chicago education article explains that art in itself is a form of communication. Readers with disabilities may have "a difficult time expressing themselves in words or speech but can excel in different art forms that require movement, spatial understanding and negotiating the world through textures." There are even entire lesson plans for teachers, outlining ways art can be used to increase reading comprehension. So art can make the reading easier, but Nikki Wood says it works the other way around, too. "Reading makes the activities much more meaningful."